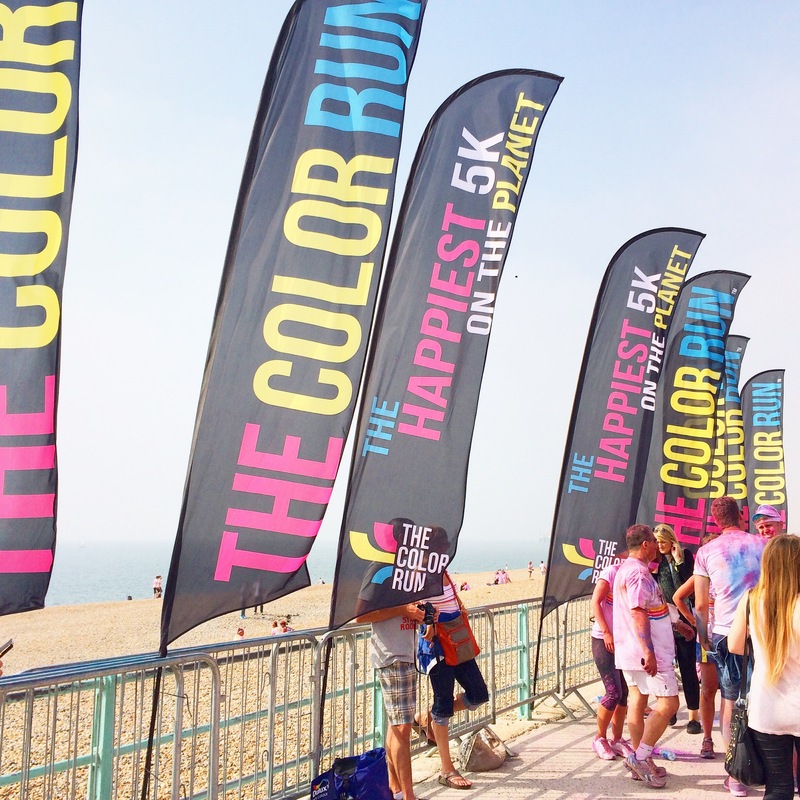 When I heard about the Color Run, I didn’t just book one event – I booked two! 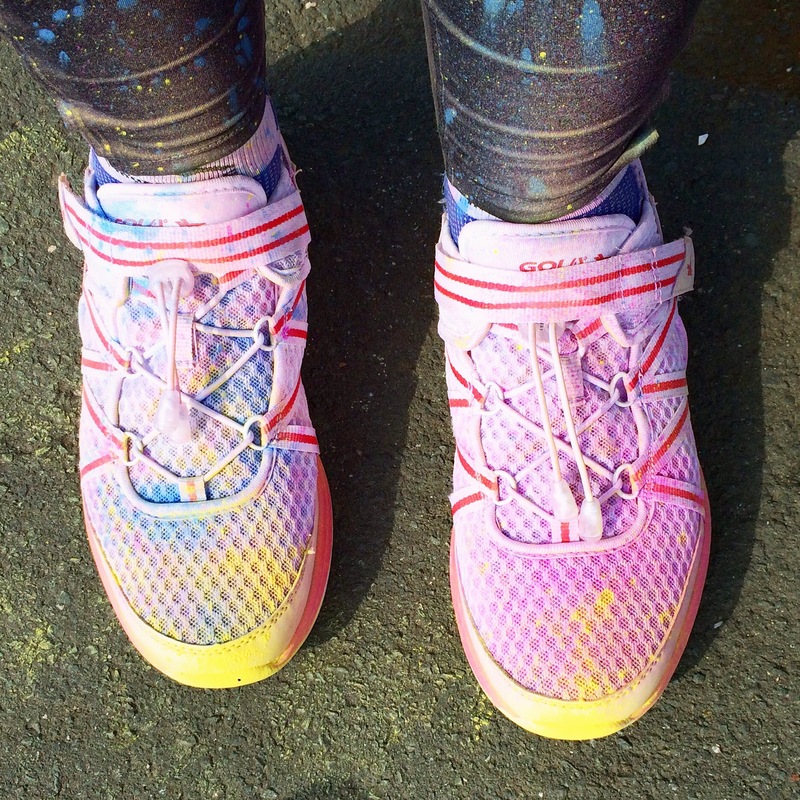 And inevitably, pushed the later one into the back of my mind just in time to make it extra exciting (read: stressful) to get back into condition for it… However, I did have the benefit of a new pair of awesome trainers to motivate me, courtesy of Gola! 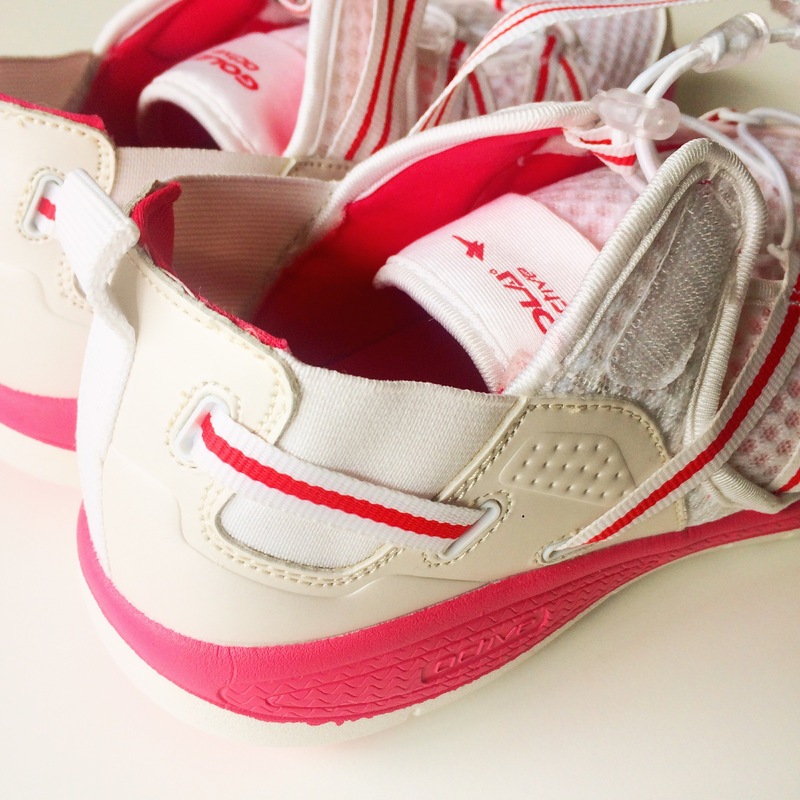 These pretty pink and white Gola trainers are part of the Active range – reasonably priced and well manufactured, they prove you don’t have to spend a lot to get a great quality product. 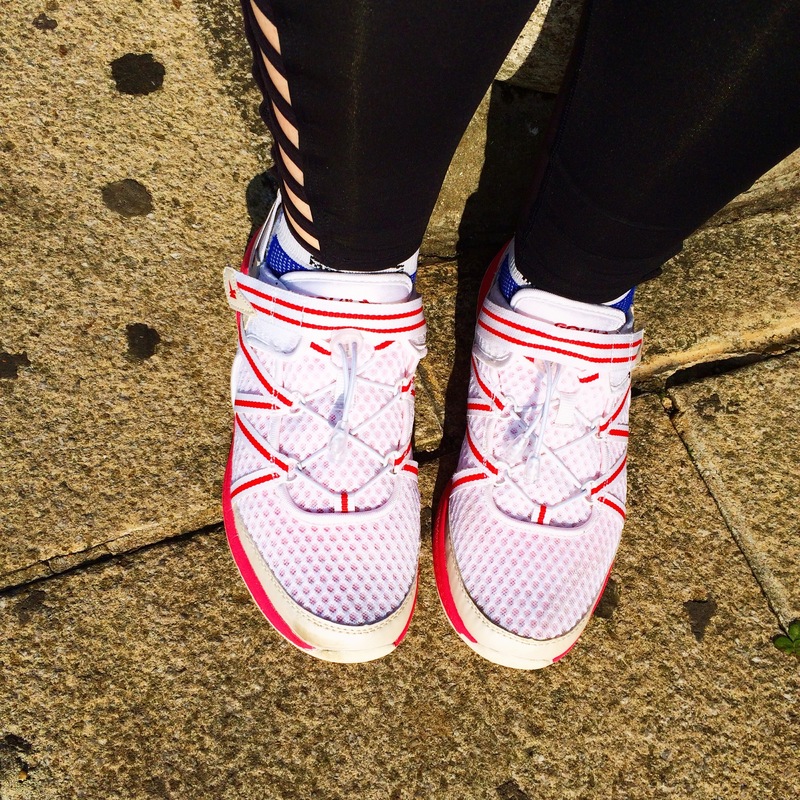 One thing I loved about the Imala was the fastening – my other trainers are standard lace-ups, but this pair features a flexible elastic drawstring style, complete with Velcro strap. 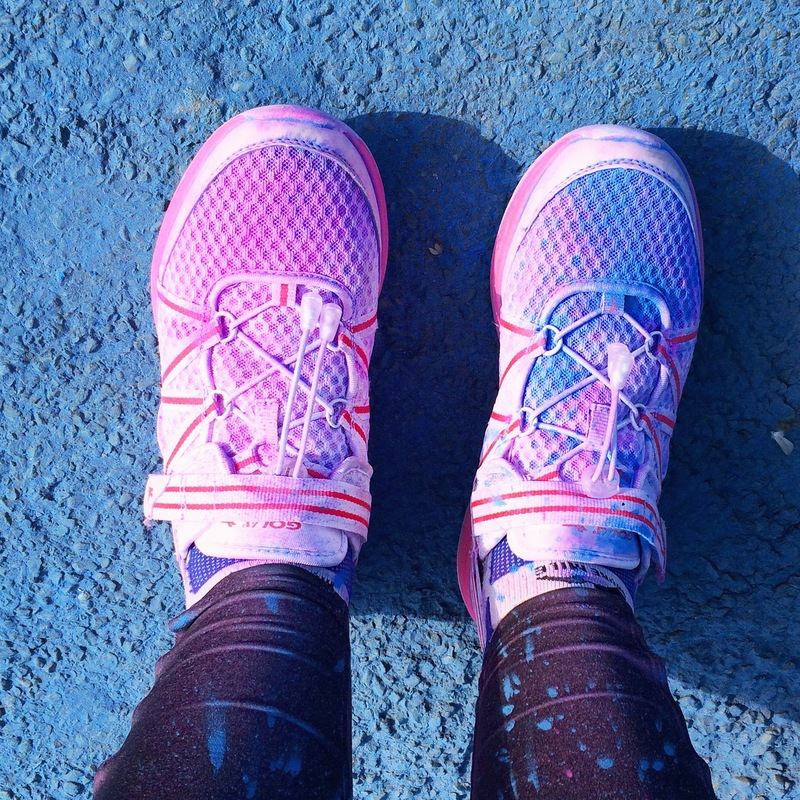 So much easier to get on in a hurry! 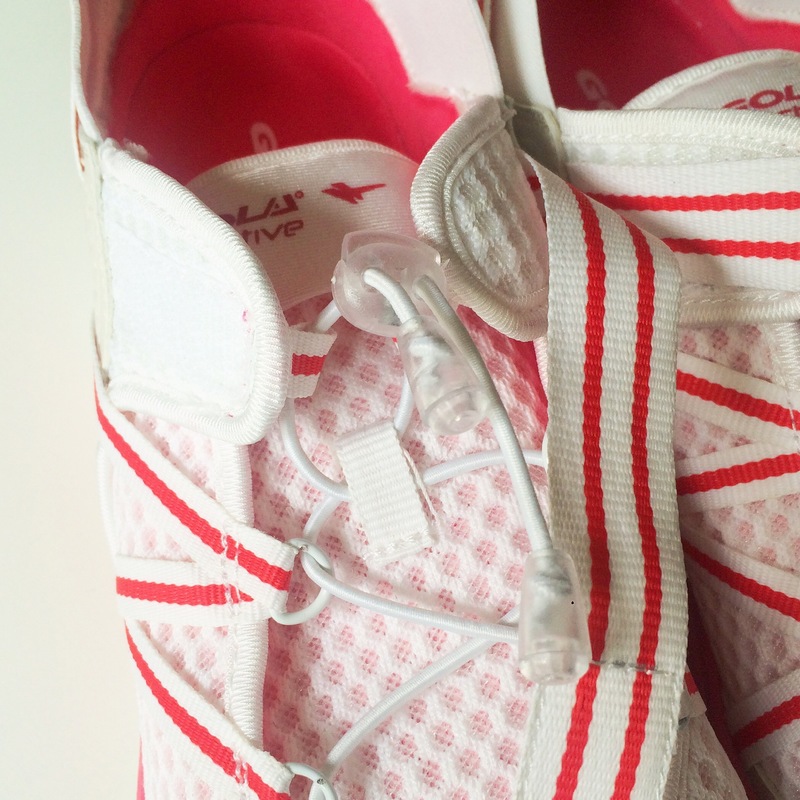 I also really liked the design motif of the elasticated bands around the sides to give support to the foot. 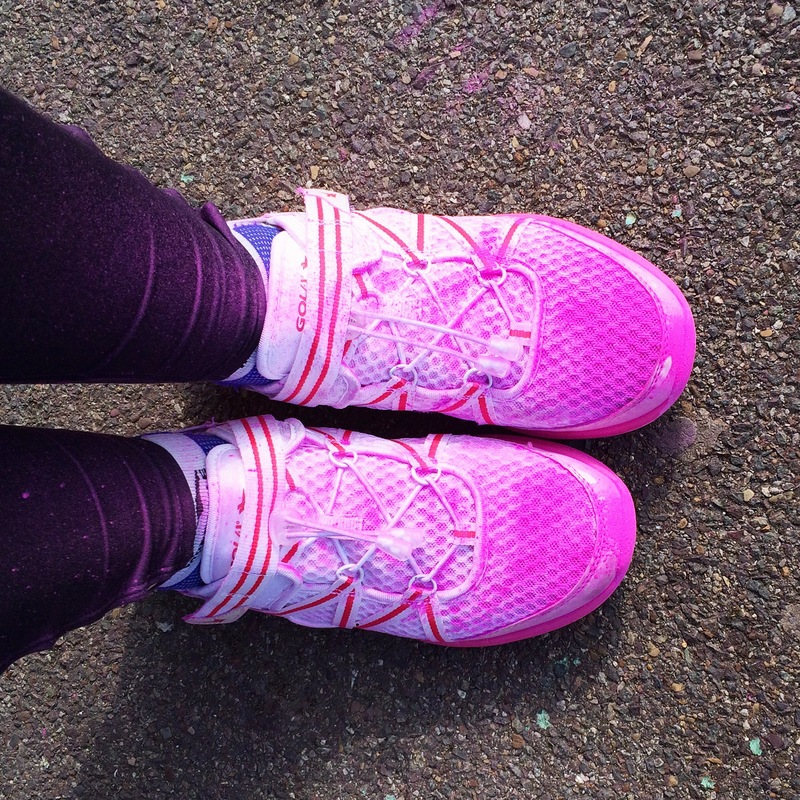 This is a really flexible shoe, perfect for loads of activities – although I’ve mostly worn them running recently! 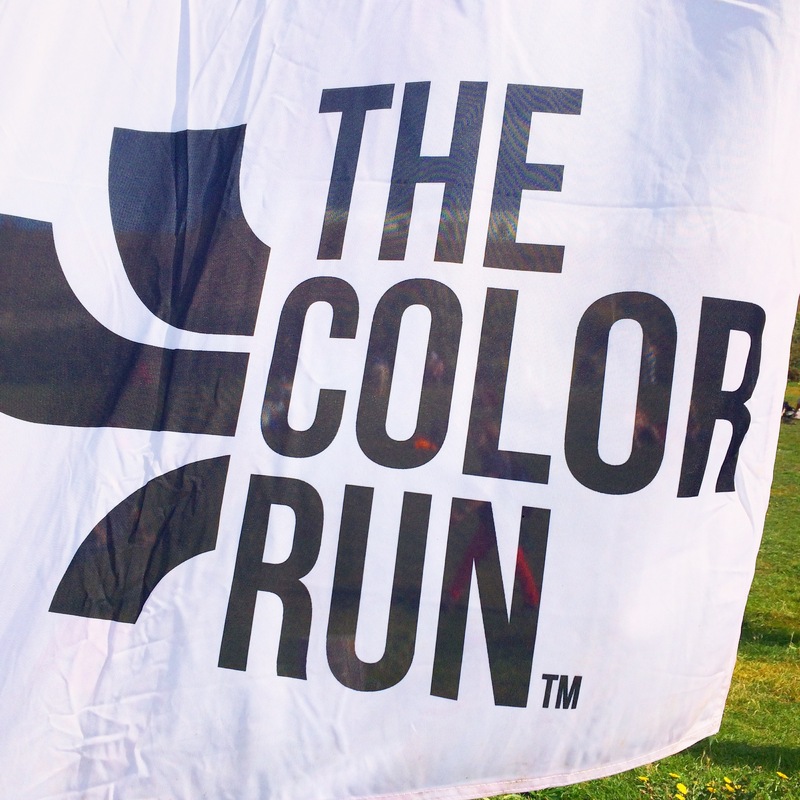 And what better run to test out a pair of nearly white shoes than The Color Run? 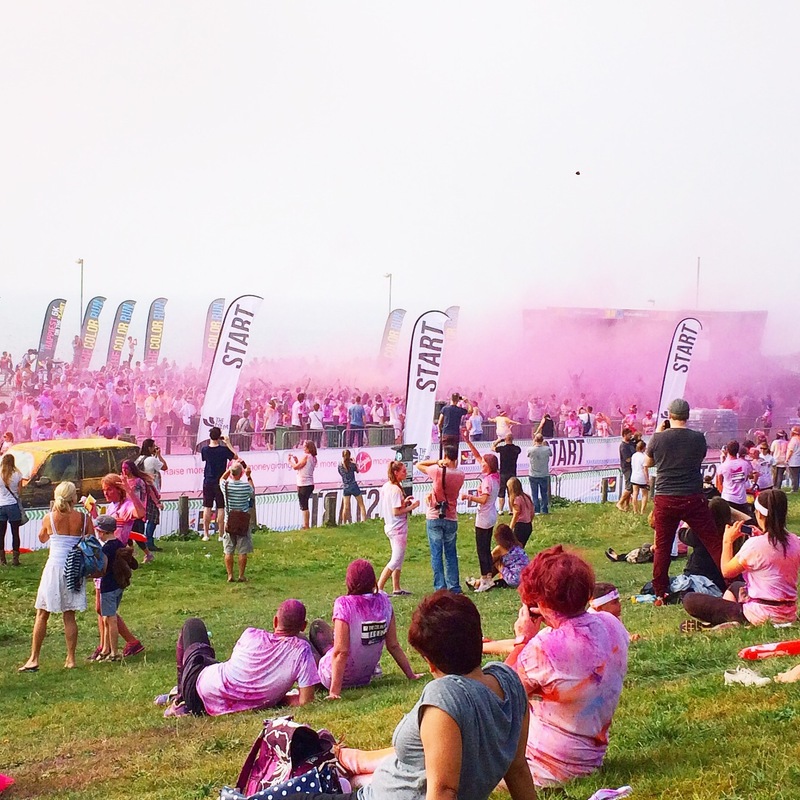 There’s no pressure, no timings, but there is a great atmosphere and an amazing party at the end, when all the finishers dance together and release extra packets of colour over each other to music! 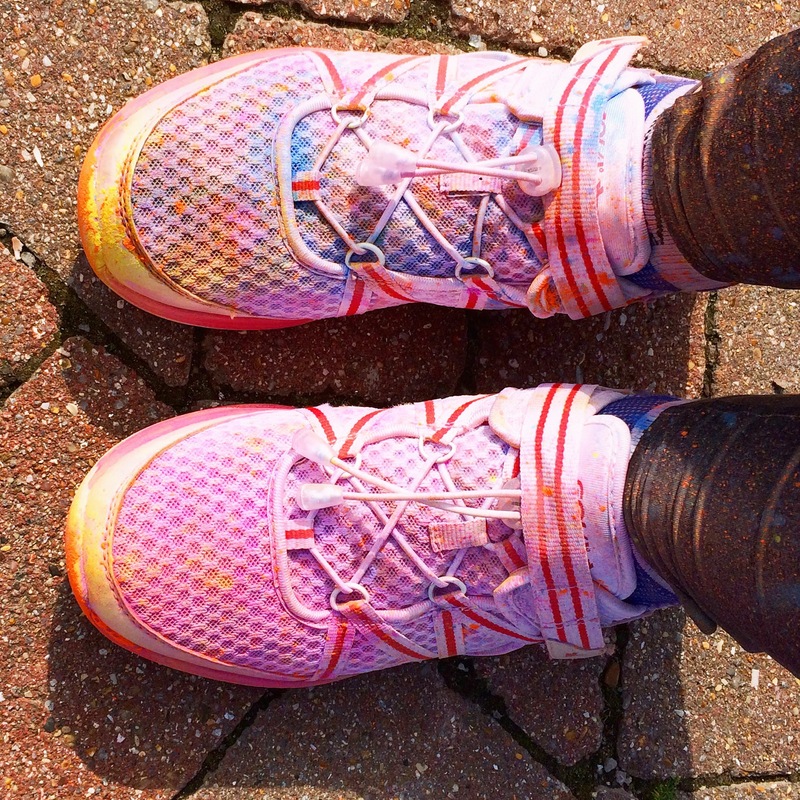 By the end of it, my Gola Imalas were well and truly brightened up – although, a quick cycle in the washing machine later, and they’re good as new! 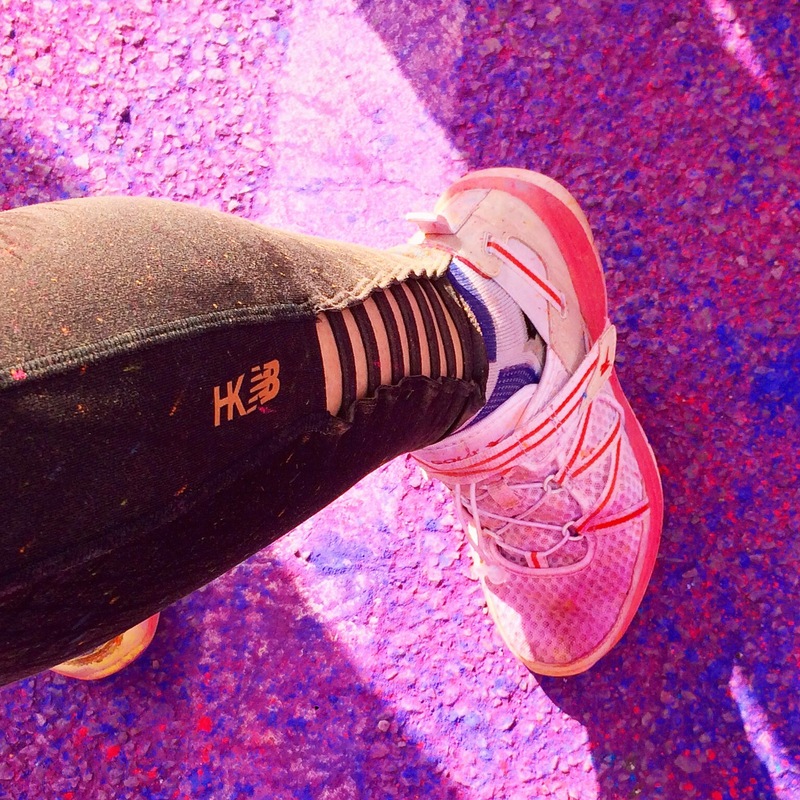 I also wore my new running tights by Heidi Klum for New Balance – from Next. I love the cool cut out detail on the bottom of the leg! 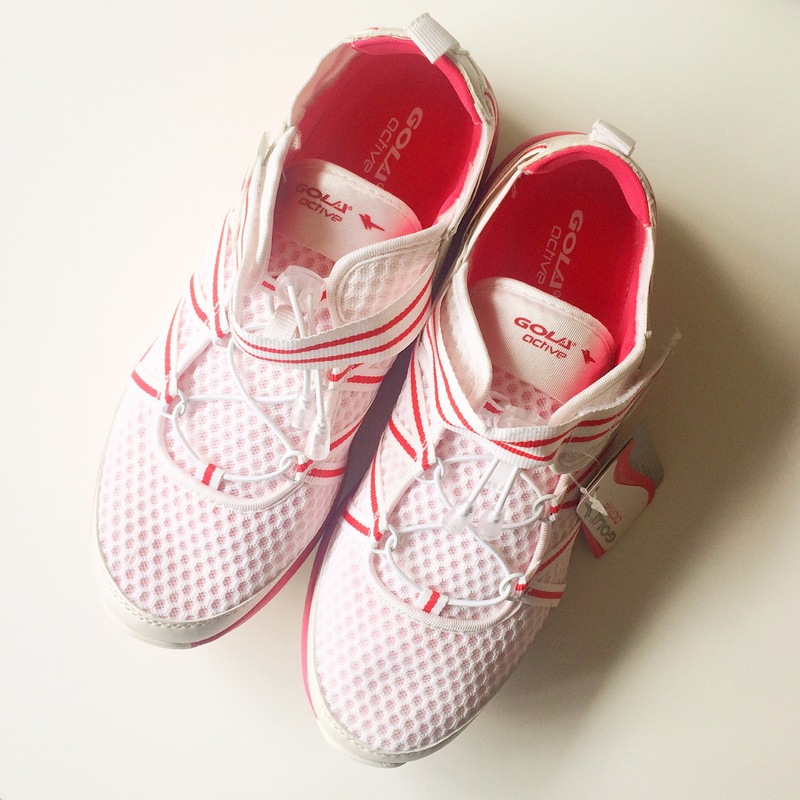 If you want to check out Gola’s range of sports shoes, their Active range is here. 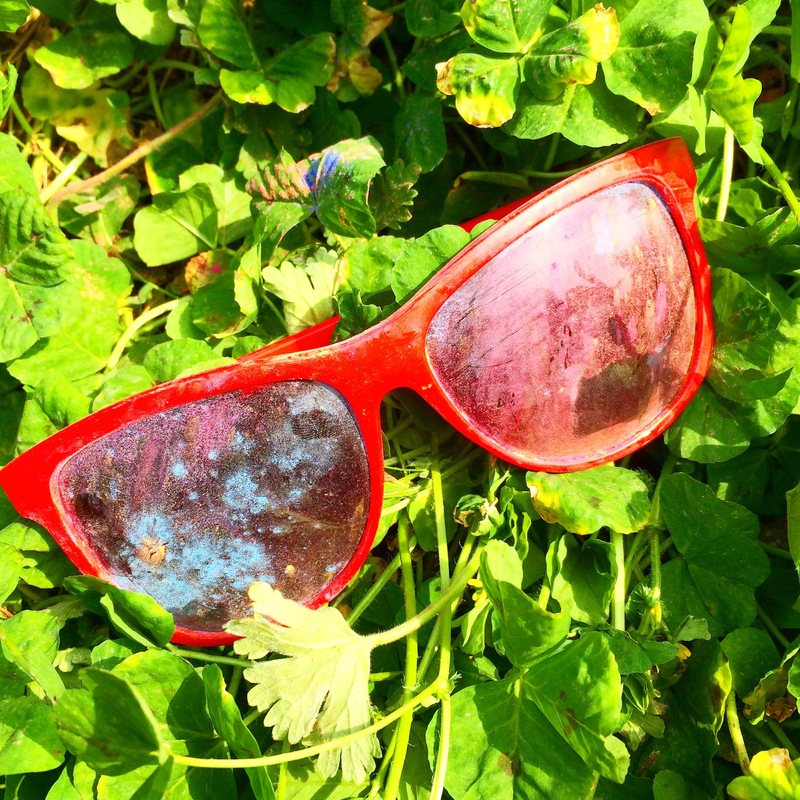 The Imalas are on sale at the moment for £20 – a fantastic bargain!